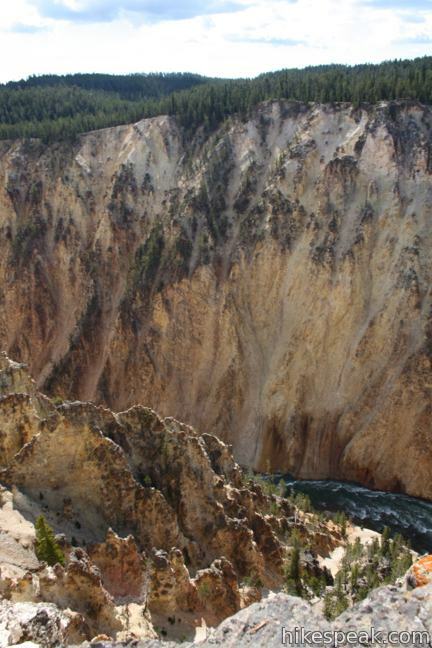 Lookout Point, like Inspiration Point, is a panoramic overlook on the north rim of the Grand Canyon of the Yellowstone River. 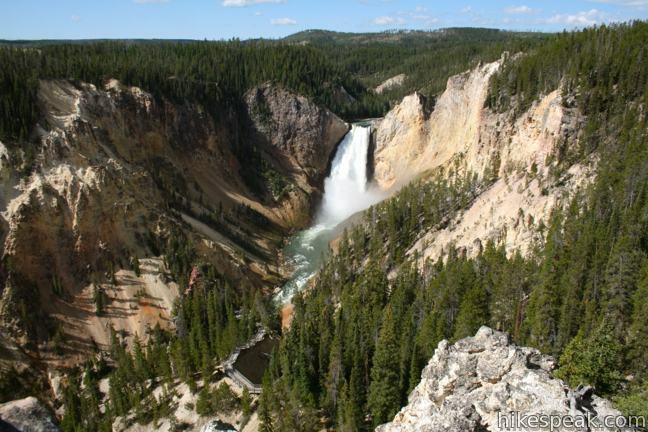 Lookout Point offers a stunning view of the 308-foot Lower Falls tier of Yellowstone Falls. 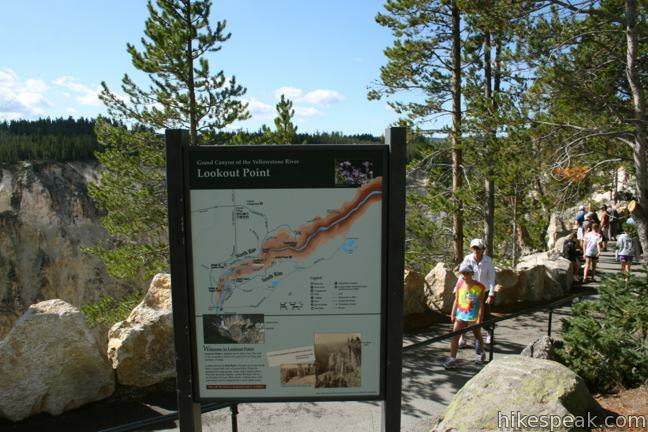 Similar to Inspiration Point, you may drive right up to Lookout Point or visit the overlook as a stop on North Rim Trail. The minimum distance to Lookout Point is 0.15 miles round trip with 25 feet of elevation gain. 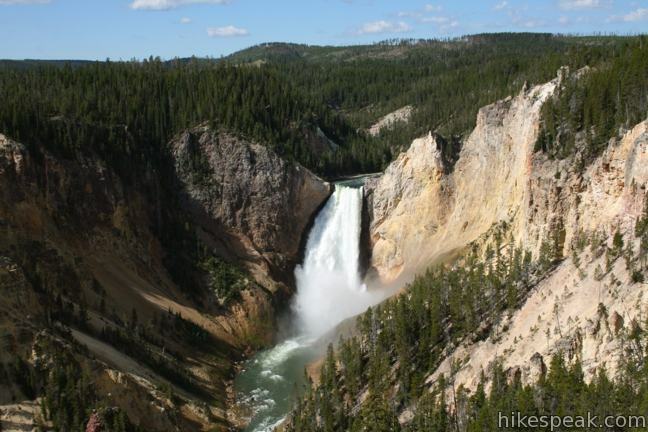 Lookout Point faces west up a deep canyon carved by the Yellowstone River toward a white gushing waterfall flanked by orange vertical walls. 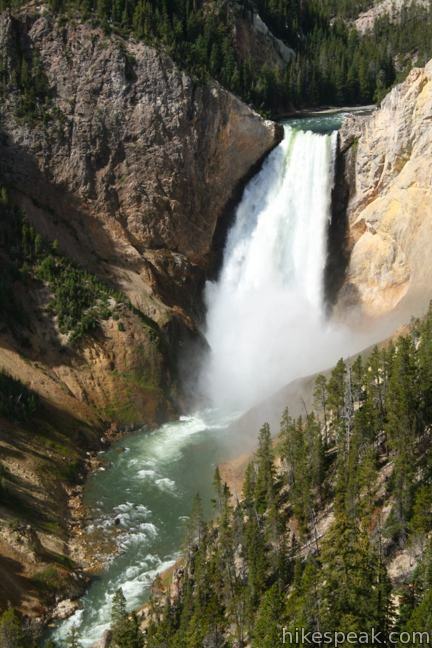 Out of sight, upriver from Lower Falls, there is a shorter upper tier of Yellowstone Falls. A steep descent to Red Rock will take you to the North Rim’s closest full view of Lower Falls. Please be prepared for steep grades, steps, and a rough surface. The rail descends rapidly—about 500 feet (150 m) in 3/8 mile (0.6 km). Wear sturdy walking shoes with good tread, and be prepared for a steep uphill return. 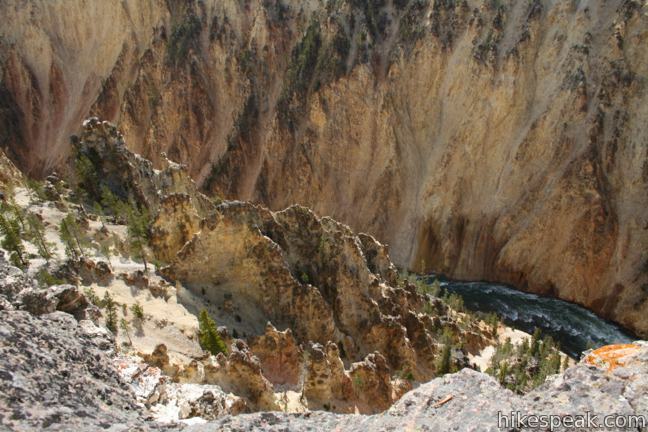 To get more views of the Grand Canyon of the Yellowstone River, you can head east from Lookout Point on North Rim Trail, reaching Osprey Point, Grand View Point, and eventually Inspiration Point. Each overlook is placed at a panoramic promontory along the canyon wall. 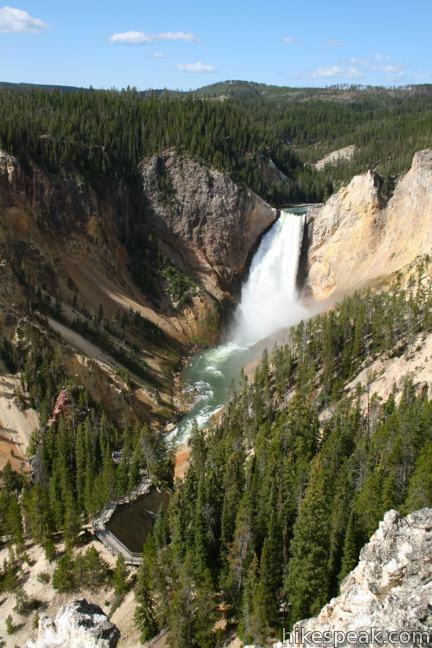 There is an entrance fee for Yellowstone National Park, but no permit is required to visit Lookout Point on the North Rim of the Grand Canyon of the Yellowstone River, so get out and enjoy! To get to the trailhead: From Canyon Junction, where Norris Canyon Road and Grand Loop Road meet, drive 1.2 miles south on Grand Loop Road and turn left (east) on North Rim Drive. Proceed 0.7 miles to a parking area for Lookout Point, which will be on the right. Is the North Rim Drive recommended for a 55 passenger motor coach?